Along with the Forest Service, GMC Worcester Section maintains the Long Trail and Appalachian Trail from Stratton-Arlington Rd. (if coming from the east) or Kelly Stand Road (if coming from the west) to the Winhall River crossing in the towns of Stratton and Winhall, Vermont. We also help maintain the Stratton Pond Trail and other side trails. Note that in our section, the Catamount Trail is merged with the Stratton Pond Trail and the Appalachian Trail is merged with the Long Trail. 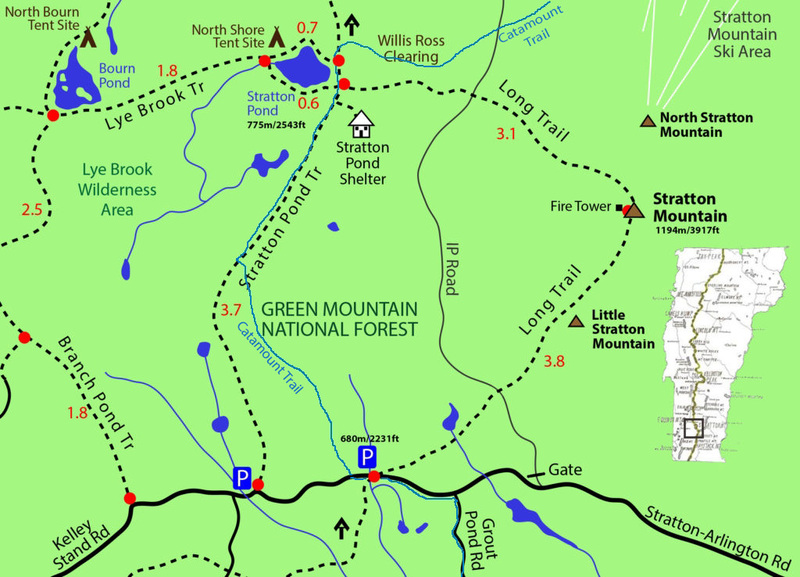 The Green Mountain National Forest is maintained by the USDA Forest Service. Please abide by their rules. Rules for camping in the GMNF can be found here. More info on the Stratton Pond Trail (and a map) can be found here. More info on the LT/AT Between Stratton-Arlington Rd. and Stratton Pond (and a map) can be found here. More info on the Lye Brook Trail and the Branch Pond Trail (and a map) can be found here. The first camp at Stratton Pond, Camp Willie Ross, was built by our section and dedicated on October 12, 1929. The current shelter was built in 1999 by Erik & Laurel Tobiason and GMC volunteers and is dedicated to Bob Humes. Reservations cannot be made at the shelter; it is first-come first-serve. There is a caretaker during the summer who collects a $5 fee for its use. Stratton Mountain is the highest peak in Windham County, Vermont at 3,940 feet. It is #73 on the New England Hundred Highest hiking list. The summit has a fire tower that offers 360 degree views . 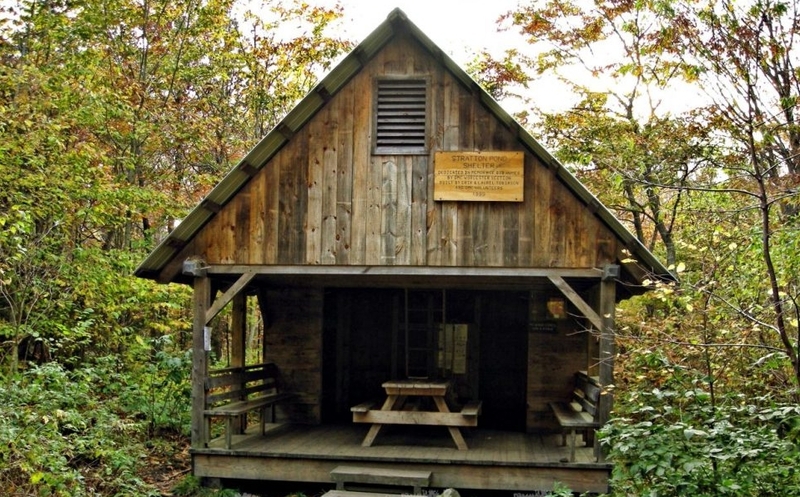 There is a small caretaker cabin located a few hundred feet south of the fire tower. The cabin is not open to the public and a caretaker is in residence during the summer. A few hundred yards east of the Stratton Pond Trail trailhead at Kelly Stand Road is the site of Daniel Webster’s famous Kelley Stand speech of 1840. A historic marker commemorates the spot. The GMC Worcester Section runs two weekend-long maintenance trips per year, in late spring and early fall, where volunteers overnight at the Stratton Pond Shelter. These trips are physically challenging but loads of fun! Please contact us if you are interested in joining us.